Want to get noticed online? Internetrix are your Search Engine Marketing (SEM) experts, managing digital marketing campaigns which get results. Search Engine Marketing (SEM) involves running a digital advertising campaign to drive click-throughs to a destination website from popular search engines such as Google, Bing or Yahoo. We use tools like Google AdWords and our Google Analytics partnership to create, execute, monitor these campaigns, and improve your ROI. Our Online Performance division offers an on-demand hourly rate for helping fix highly specific Search Engine Marketing campaign problems like lack of click-throughs or lack of conversions from pay-per-click traffic. For those who need a specialist Search Engine Marketing vendor to work with in an ongoing capacity, we offer preferential rates through contracted Maintenance Agreements of 25-, 50- or 100-hour bundles. When engaged as an ongoing Search Engine Marketing specialist we deliver our expertise through the following Internetrix Search Engine Marketing Cycle. Internetrix are certified Google AdWords Partners and have a team of PPC specialists who live, sleep and breathe search engine marketing and online performance strategies. We can immediately help you display ads through Google about your products and services to specifically target the customers you want to buy from you . Internetrix works with our customers on strategic pay per client AdWords campaigns, to ensure that you are getting the most from your advertising spend. Our team of keyword analysts develop keywords and phrases directly related to your business, your products and services to provide you with the ultimate Google exposure. Google AdWords search engine marketing campaigns are a great way to increase exposure and build exposure to potential clients when partnered with a strong search engine optimisation campaign. 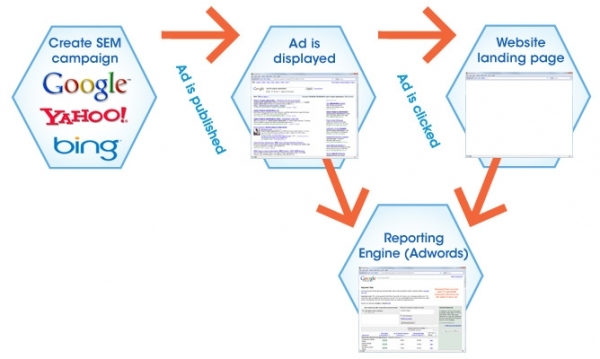 Get more conversions from your pay per click spend - contact Internetrix to find out more.